Migos in Montreal or Quebec City? Inform me about the next events for Migos. Enroll yourself to our priority waiting list for Migos to be alerted when new tickets are available. Filling this form doesn't engage you to any purchase. Migos is coming back to Montreal this summer ! Eleven months after their stunning îleSoniq concert, Migos will be the opening act for Drake at the Bell Centre, on September 4th, 2018 ! 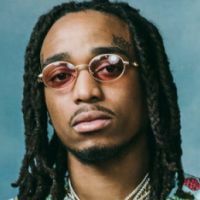 When Quavo, Takeoff and Offset hit the stage, the crowd goes wild to the sound of their many hit singles, such as Walk It Talk It, Bad and Boujee, MotorSport and Stir Fry ! Don't miss the « Aubrey and the Three Amigos » tour with Drake and Migos at the Bell Centre.